Like a lot of recent graduates, James Blasczyk was not sure what he was going to do next after graduation. 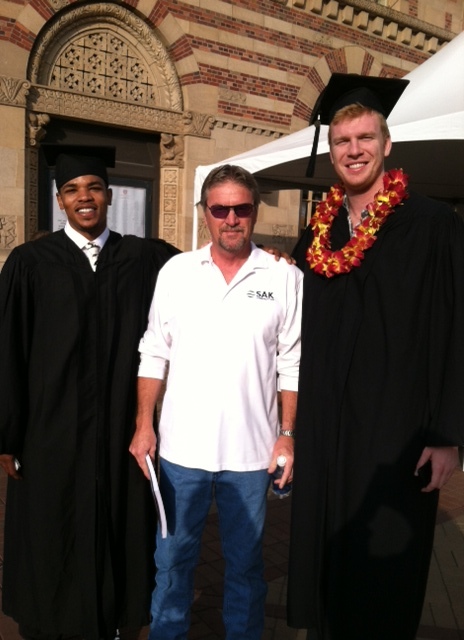 After playing through pain for two seasons at USC, the 7-foot-1 center had to seriously consider whether basketball was in his future. “I originally wasn’t sure if I wanted to keep playing,” Blasczyk said via text message Thursday night. Blasczyk, who played for Texas A&M and Lee College before enrolling at USC, decided he needed to give his body a well-deserved break from basketball. At the same time, he kept his basketball options open. He filled out NCAA paperwork to receive a sixth year of eligibility, and signed up to play in summer showcase tournaments. After about a month, Blasczyk decided he wanted to pursue professional basketball. Feeling healthy, he returned to the gym to prepare for the summer tournament circuit. At one tournament, he caught the attention of Andre Levingston, the majority owner of the Halifax Rainmen of the National Basketball League of Canada, which was founded in 2011. “One thing led to another,” Blasczyk said. “[Levingston] is in my corner, and I decided that would be the best route to go. Refreshed, both mentally and physically, Blasczyk is ready for the next chapter in his life, although he has never been to Canada before.